I was pretty excited for December, to officially get into the Christmas Spirit, and even more to be able to start on the Malteser Chocolate Advent Calendar sent to me from home. And rather fittingly, the 1st December brought with it winter weather. Proper, bitterly cold winter with face-numbing winds and an actual snowstorm too. Cue us walking home from work completely unprepared for the sudden drop in temperature, with numb hands and feet and frozen faces. 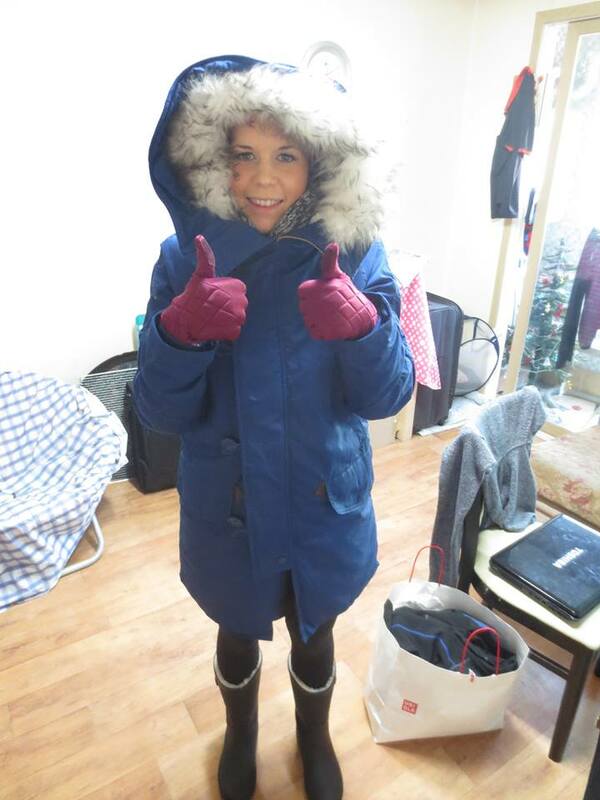 It might sound silly, but I never really realised how important a coat was until last year, when I bought a proper coat for the first time in my life, and it was so worth it. 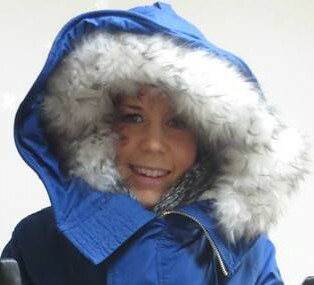 It comes past my knees, has a thick, padded interior and a fur-lined padded hood which covers my whole face. It might make me look like I’m wearing a man’s coat which is several sizes too big (my sister’s words, not mine) but it does the job and keeps me warm. In fact, by the time I’ve walked the 10 minute to school, my head is usually too hot. Best investment ever. 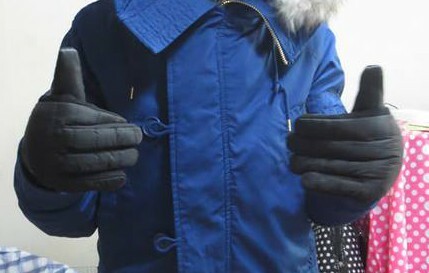 Again, the first time I’ve bought proper gloves (rather than pretty ones). One thin Lycra pair for underneath, and a thick padded pair to wear on top. I can literally not move my fingers once I have both pairs on- it makes entering the code to get into the apartment quite difficult- but it does stop my fingers going completely numb. Which I see as a positive. I knew my normal thin scarves/pashminas wouldn’t do the trick in Korea, so I bought a huge, woolly snood to keep my neck warm. Turns out that it barely fits underneath my coat because it’s so thick, but it’s nice for wearing once I’m at school. I can thank Lotte Mart for this purchase. Not just normal leggings, but thick leggings lined on the inside with soft, warm fur. A definite treat for your legs. I wear them with dresses, underneath trousers, underneath my pajamas…basically I alternate between different pairs all winter. And, in Korea they come in men’s sizes too; leggings are no longer a female-fashion-item as they are in England, but a useful piece of clothing to help you against the cold weather. And I love them. Uniqlo was where I found these life-saving slipper-socks. As we have to take off our shoes inside, I needed something warm for my feet, something better than the sandals given by the school (if I worethem, my feet would be frost-bitten by the end of the day). These slippers are lined with fur and super-snug, keeping my feet nice and toasty all day. The students with their freezing feet are pretty envious. Another amazing purchase was my furry welly-boots which are the comfiest, coziest shoes I’ve ever owned. They’re soft and snug and it’s like having your feet in a cotton-wool cushion. Before I bought these, my toes would be numb by the time I was halfway to school, but now they’re actually warm, even when walking through snow. 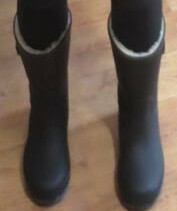 Again, I may not look too cool, sporting thick, un-elegant wellies (especially next to my Korean co-teacher, who wears high-heels even in the snow and ice), but I feel good. Which is way more important in the freezing weather! To be honest, the minute I get home I’ll make a boiling-hot water bottle, and keep it next to me all evening. I would tie one to myself all day at school if it wouldn’t be so hard to carry around everywhere. This is a good alternative to a hot water bottle, and is easier to keep with you all day. The best version I’ve tried is a sticky hot-pad which you stick to your clothing and which keeps warm for hours. In fact, it gets so hot that my co-teacher warned me not to stick it straight onto my skin, or I’d actually get burnt. Now that’s a good heat-pad. Any excuse to drink more tea is fine with me, and the winter isdefinitely a good excuse. 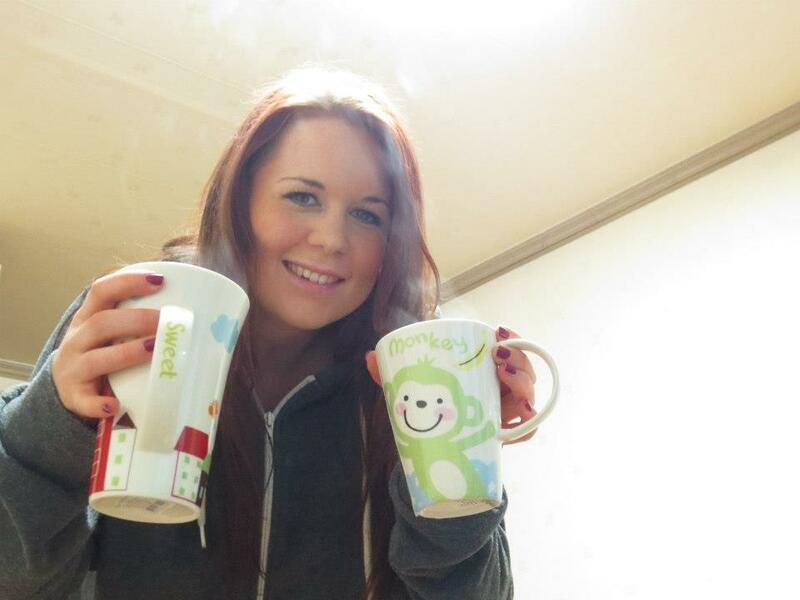 I pretty much chain-drink tea during the cold months, and keep a kettle by my desk at school. It’s a little expensive when you get through an average of 10 mugs a day, but it’s worth it. 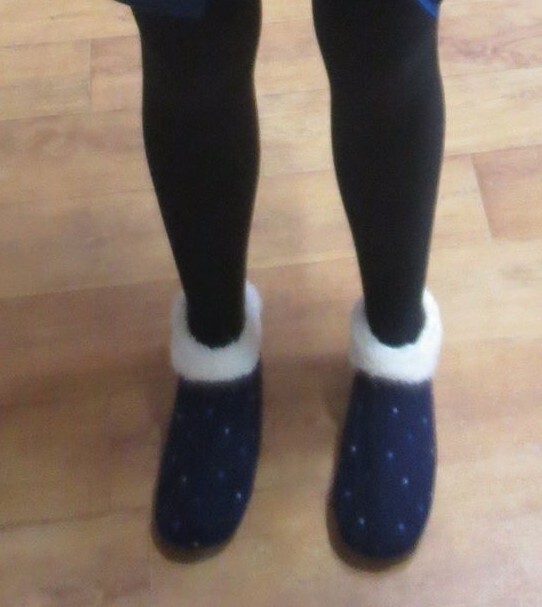 The pajamas in Korea are so cute, and so soft and fluffy, that I’m glad of the excuse to buy myself numerous pairs. The best part is they’re so much warmer than a lot of pajamas. And when you wear them over the top of fluffy leggings too? Your legs will never go cold. Of course there are obviously other things to do to keep warm; electric blankets and central heating, to name a couple. But, I find that if you don’t want your bills to sky-rocket by having your heating on 24/7, you can survive without it, as long as you take other precautions. And if you don’t want to cry every time you step outside and are hit by icy-cold air, you definitely need to buy some proper winter-gear.